How to set size of pie/doughnut? The circularCoefficient property determines the size of pie and doughnut series based on the available size in chart. It takes value from 0 to 1. The default value of this property is 0.8. 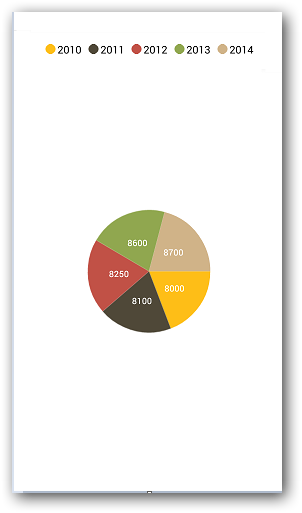 That is, by default, pie and doughnut series takes 80 percentage of the available size (size allocated to render the series after placing the legend and chart title) of the chart. The following code example illustrates this. The following screenshot illustrates the output of above code snippet.